The Tabby Cat Club is having a Meet the Family Day. My “immediate” family are in the photo above. Sadly, as you can see, I’m the only living, breathing cat. Beside me are Plush Autumn, HHGutt and Plush Nicky. Cod have pity on me. Instead of focusing on the stuffies, I thought I’d spotlight my fur cousins cos we’re a cat-loving family. OK, we’re a pet-loving family. TW’s Uncle Don and Aunt Amy loved animals and they shared that love with my Aunts Melinda and Karen. In turn, Aunt Karen has shared that love with her children. When Uncle Don passed in 2010, he requested his friends to donate to the West Milford, NJ Animal Rescue in his memory. Aunt Melinda’s fur children (above). Aunt Amy’s Meena and two of Aunt Karen’s fur children. Like myself, all of my fur cousins are shelter animals. I’m impressed that Cousin BB is a real live Norwegian Forest Cat! Doesn’t he look like Rumblepurr? 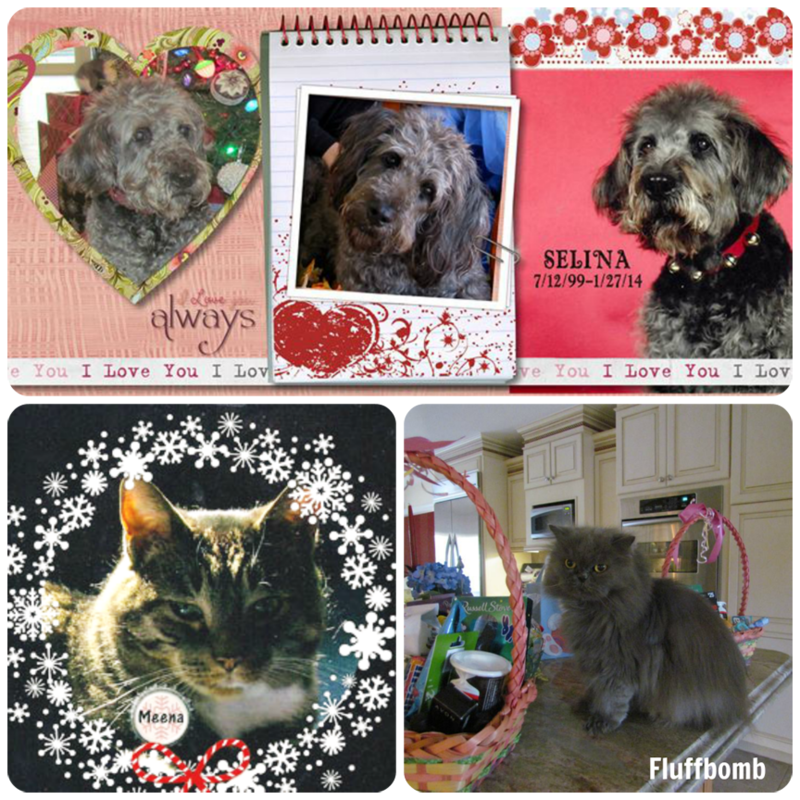 Cousin Selina went OTRB in January and is sorely missed. Aunt Karen has two other cats but I really don’t know them. There is a black and white tuxedo named Mr. Higgens and a Tabico girlcat named Sophie, who I wish I knew better. Besides her own fur children, she fosters cats cos she’s a volunteer for Brookes Legacy Animal Rescue. Located in Naples, FL, Brookes Legacy is all about giving animals on death row a second chance. Since they don’t have an actual shelter, they rely on foster homes. The more foster homes, the more cats and dogs they can pardon from the kill (non)shelters. Give them a Like on Facebook cos they do good work. There's still time to enter the giveaway for the Hill's® Prescription Diet® Metabolic Advanced Weight Solution. This giveaway is open through Monday, March 24, 2014. You must comply with all stated contest requirements to be eligible to win and claim your prize. Geez, CK, you have some whacked family! Just sayin'. LOL CK you got a laid back family there fir sure. Have a terrific Tuesday. Your fur cousins are so cute! I'm sorry cousin Selina left for RB. CK...it bee veree nice ta meet yur familee....noe pick sures frum yur cuzin in france.... Murr Low ??? But it was great to meet all your fur-cousins! Thanks for sharing! You all are a furr-bulous looking bunch!!! We are very sorry about dear Selina. Thanks for showing us your family critter tree CK! Nice to meet all of your family CK. Wow, I didn't realize you had such a big one. 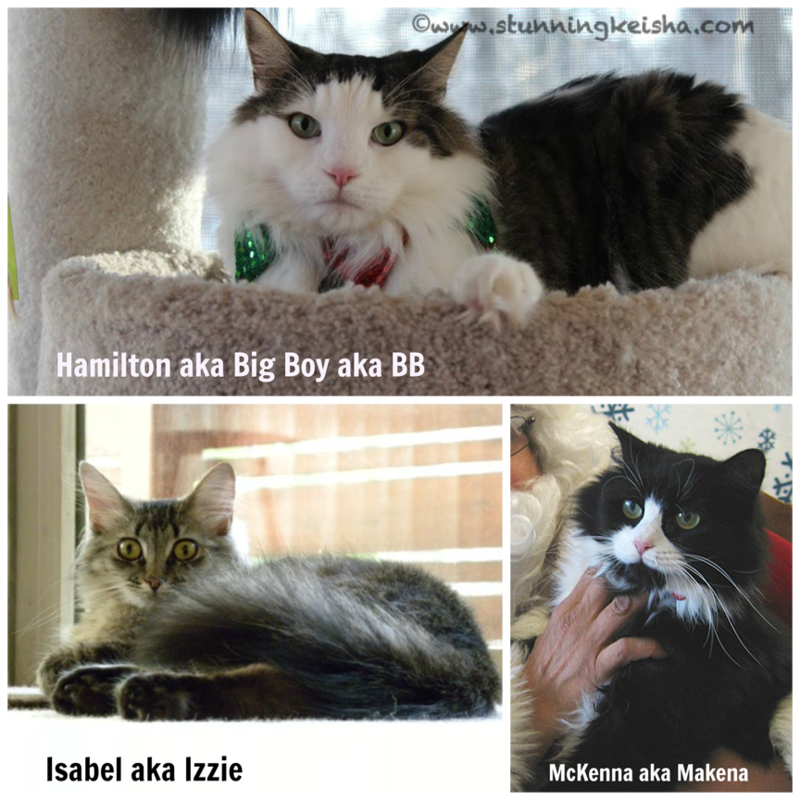 I'm afraid it's just me, unless you count my human sisfur's two kitties, but I've featured them in my blog many times when they came to visit me. We are sorry that Selina had to go to the Bridge. Sending you purrs and hugs. What a pawsome family you have! We are so sorry about Selina. Purrs, hugz and all the more. You've got a wonderful family, CK. ...and you're right! BB totally looks like Rumbles. Those Norwegians are very handsome! What a good-looking family you have, CK! You have a big lovely family, CK. And I love that everyone supports shelters and less fortunate animals! Nice to meet the Fam, CK. I love my cousins too--best from a distance however. Guess what? I spoke so sternly to the Human that she actually *did* go to the Post Office this afternoon and mail your prize! I can't WAIT till it arrives (but the Human was too cheap to overnight it, so you'll have a be patient for a few days. Anticipation is half the fun....right? Yeah, I don't think so either. Gimme my stuff! is my motto. Seriouslies, CK! You got a fambly goin' there! We think BB is MEGA handsome!! Wonderful extended family! Sorry about Selina having to go to the Bridge. BB is beautiful and does look like Rumble!